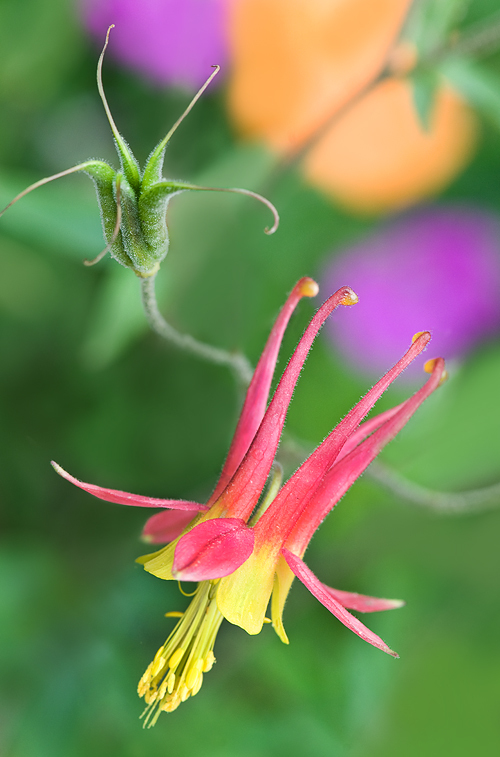 I’m really enjoying experimenting with depth-of-field to create bokeh (pronounced “bo-kuh”) in my flower photography. 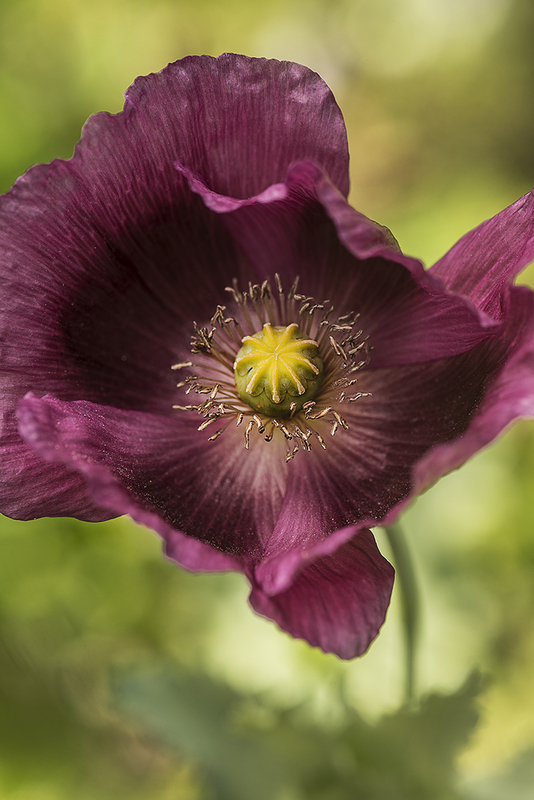 Yes, you’ll sacrifice the foreground-to-background focus you’d get using smaller apertures, but sometimes a flower demands that effect—use selective focusing and let the other areas go soft. I decide when I’m going to use larger apertures mostly based on what the background behind my subject looks like. If I’m shooting extremely close up on a flower, I want to capture all the details from front to back and since there wouldn’t be a strong background in those shots, I can use smaller apertures and get really sharp depth-of-field throughout. When the background behind a subject is less than desirable (many colors competing with my subject, sharp lines like grass blades and flower stems, etc. ), I’ll try the larger aperture approach until I get that wonderful bokeh photographers strive for. Knocking the background out in some shots can create amazing blobs and streaks of color. Here, the background flowers (Poppies and Rose Campion, as I recall) go completely out of focus, giving this shot what I call the “Skittles” effect! And now for your daily lecture: If you don’t have a tripod, save up your bucks and get a really good one and use it as often as you can. I’ve always had one and wasn’t religious about using it much until I got serious about my macro photography. Yes, it’s a burden to lug one around, but take a look at the carbon fiber models—they’re much lighter than others. I bought a Benro C-298EX tripod last year at a photography show for under $250 (a steal compared to what I paid for my first carbon fiber tripod when they first came out!) from Hunt’s Photo and Video (great retailer, by the way!). You can find almost all of the Benro models at great prices by doing a search on the Hunt’s Photo website here. I don’t think they’re making this model anymore, but there are other Benro carbon fiber models to chose from and some are less expensive. Read the specs; if your camera is lightweight, you could get by with one of the lesser priced models. With this particular model, I can take the center column and switch it from vertical to horizontal for more flexibility. You can also spread the tripod legs independently and lock them in place in three stop increments. Once you settle on your choice of tripod, add a good tripod head to it. 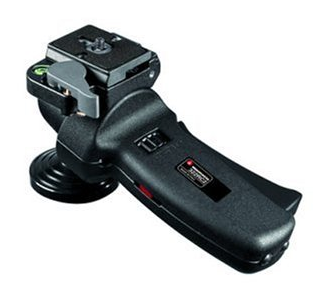 I have some smaller and cheaper tripod heads, but after trying the Manfrotto 322RC2 joystick head, I was sold. It’s not quite as pricey as some of Manfrotto’s other tripod heads (Amazon has it for $129.95 here). When I’m photographing portraits and on-the-go shots, I don’t always use a tripod, but to get really good macro shots, you really should use a tripod. It will free your hands up to tidy up the area around your subject, move leaves/twigs/wayward grasses, etc., and you’ll have a hand free to hold a diffuser if you don’t have a trusty assistant with you! Then again, a cheaper tripod is better than no tripod at all, I’d venture to say. So, if you can’t afford to splurge on a lightweight carbon fiber model with a really good quick-release ball head, use what you have and work your way up to it when you want to take your work to the next level. In case you’re wondering—no, I don’t get paid for these product endorsements—I just wanted to share some of the tools I use to get those shots! Addendum: I could just buy one more Photoshop plug-in product (Alien Skin’s Bokeh 2) and take the easier way out (don’t think I haven’t considered it—I own everything else they make, almost). Now that I’ve watched their demo video, I’m getting the urge to order it. Watch the video—you’ll fall in love with this product just like I did! 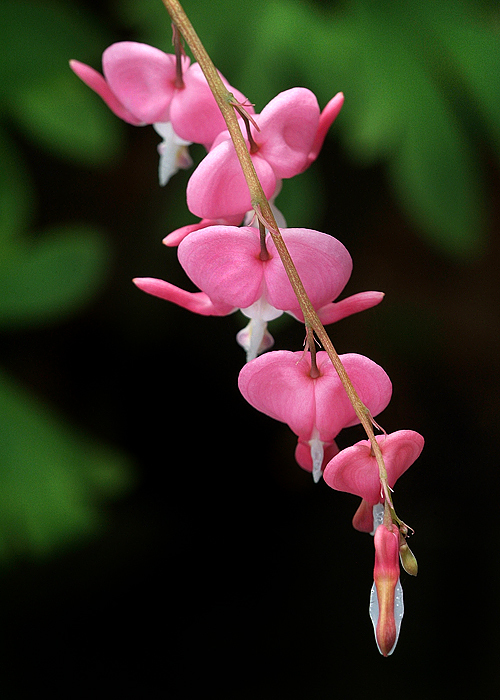 I’m pretty confident in my identification of these flowers after seeing this one here. I photographed these beauties in a garden located between the original Vienna Library, which is now a museum (circa 1897, relocated to its current location in 1970) and the Freeman House Store & Museum in Vienna, VA. The Freeman House has served as a residence, store, Civil War hospital, railroad station, post office and fire department, and is now a museum and general store. 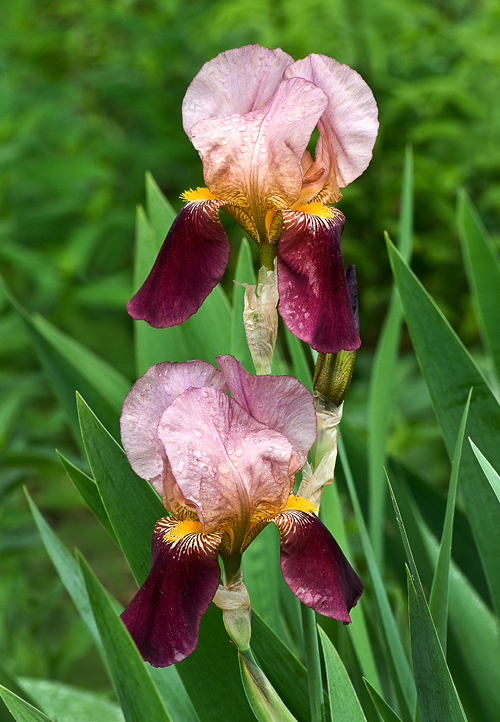 The little L-shaped garden was ablaze in color with Bearded Iris, Poppy, Salvia and Foxglove blooms. The overcast and slightly drizzly weather made for perfect photographic conditions—saturated color and glorious raindrops on petals! Ah, yes, this is the life—lost myself for a few hours this afternoon at my favorite garden—and I still didn’t cover everything that was blooming. Kudos to the staff and the volunteers who make this place such a treasure (and an escape for this photographer, too! ).